The Board of Directors had meetings September 10 and 24th. 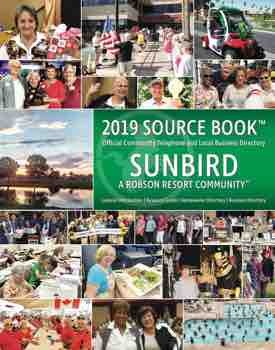 The meetings were held prior to the deadline from submission for publication in this edition of the SunBird News. These meetings notes will be available next month. Next Scheduled Board meetings: Agenda Planning Meeting Monday, November 12th @ 10am in front of the ballroom, Business Meeting Monday, November 26th @ 10am will be in the Ballroom. All are welcome to attend!